Ascension is a series of deck building games designed by professional Magic the Gathering players Justin Gary, Brian Kibler, John Fiorillo, and Rob Dougherty. 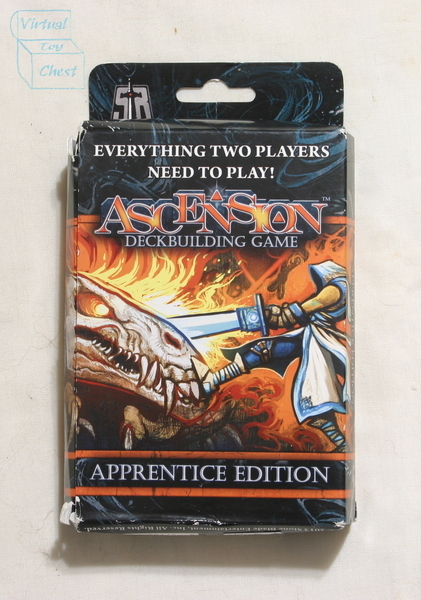 The first game in the series, Ascension Chronicle of the God Slayer, was first produced by Gary Games in 2010. The company was since renamed Stone Blade Entertainment. The goal of the game is to acquire more honor than your opponents. Honor is gained through acquiring resources to add to your deck and through defeating your enemies. The game has two basic resources; runes, and power. Runes are used to purchase resources, and power is used to defeat enemies. Building a deck that is rich in runes or one that has a large number of power cards are the primary strategies. This being said, it is possible to win the game with a deck that contains a balance of runes and power cards. Each player begins the game with a deck that consists of 8 apprentices and 2 militia, and draws five cards. Each apprentice grants one rune and each apprentice grants one power. There is a large deck of resource cards that is shuffled. The top six cards from this deck are placed face up in the center row. During your turn, if you have the necessary resources in your hand, you can purchase or fight one or more of these cards. In addition you may acquire, for a cost, mystics which grant runes, or heavy infantry which grant power. You may also fight the cultist which will grant you honor. 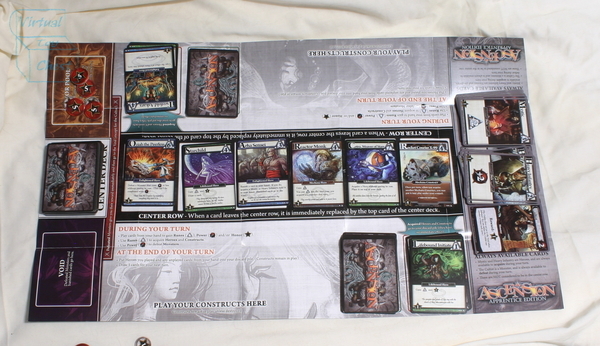 The resource cards are divided into types of cards such as heros, constructs, and monsters. Further, each card may belong to a subclass of card, such as enlightened, lifebound, mechana, void, etc. The cards from a subclass usually synergize with one another. The game presents players with interesting choices. Should I minimize my purchases to keep my deck size small? Is it late enough in the game that I should purchase mechana cards? Is my opponent likely to fight that monster, or should I kill it now while I have the chance? Ascension can be played with 2 to 6 players. 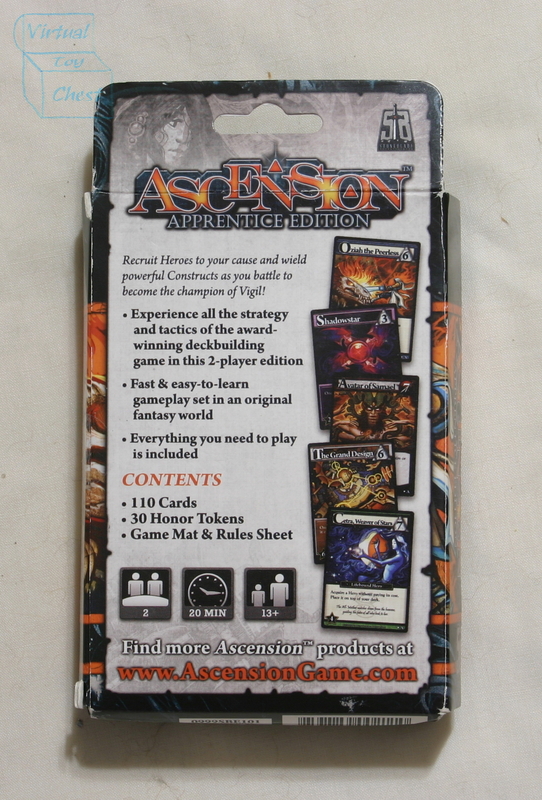 In addition to the physical version, an Ascension app is available for Apple and Android devices.